Offering an excellent opportunity for all UGears 3D set fans, to purchase your favorite models at the best prices! Throughout the entire year, we offer various special sales, discounts, coupons and promo codes, on all UGears products, including the specific individual models. If you are looking for the best prices on UGears models, follow this page for the best deals and promotions. UGears models fans, this announcement is socials for you! This offer comes only once a year, and it isn’t one you want to miss! UGears is kicking off its Black Friday special deals starting on November 23rd. 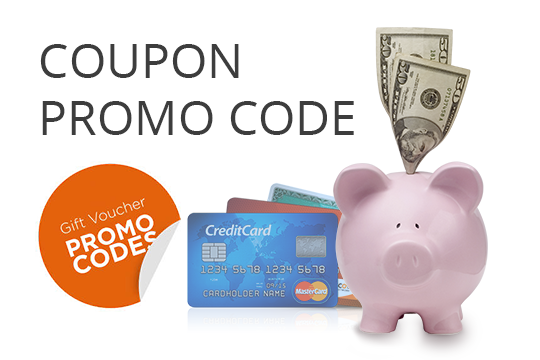 We offer a 20% discount valid from 11/23/2018 to 11/25/2018 on the following models: the Truck with Tanker, the Robot Factory, the Rail Manipulator, the Tram with Rails and the Combination Lock! 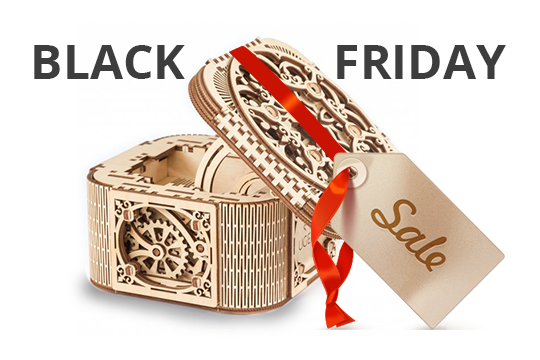 Choose your favorite 3-d model set and place an order between November 23rd and 25th to get the best Black Friday deals! 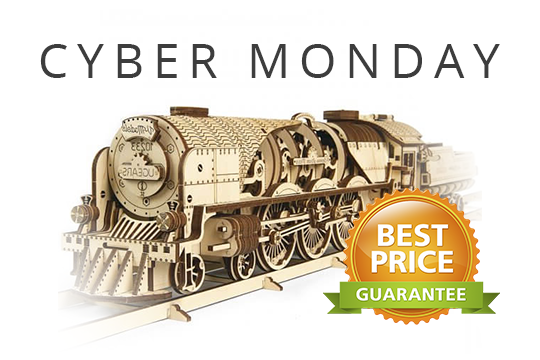 On Cyber Monday Week (November 26 - December 2nd) UGears offers a 20% discount on the 3-d sets orders placed from our online catalog. This promotion applies to the following models: the Fire Ladder, the UGM-11 Truck, the Tram Line, the Combine and the Dynamometer. Don't miss out on the opportunity to purchase some of your favorite UGears models during the Cyber Monday at the best prices! Here is an opportunity to always stay in tune with UGears newest deals and to receive a 10% discount on any of UGears 3-d models and sets. To receive a coupon code, simply subscribe for UGears newsletter while this offers lasts. UGears offers giveaways on various 3-d models throughout a year. The giveaways are available for all of UGears newsletter subscribers and the winners will receive the announced models for free! 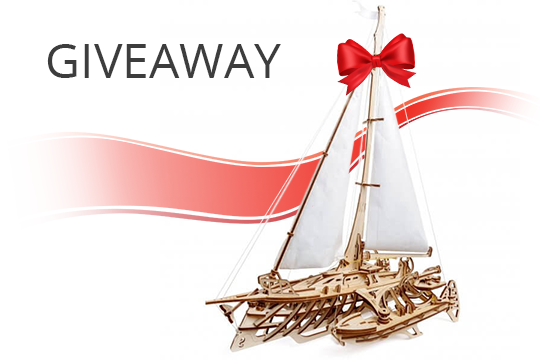 Sign up UGears newsletter to be eligible to enter our giveaways.